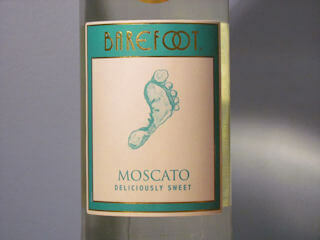 A product of Argentina, Barefoot Moscato is a white wine and has an alcohol content of 9%. Moscato is typically a sweet wine and is often served as part of the dessert course of a meal. To start, the cork was soft and came out easily. The wine presented a mostly clear and clean appearance with mild color typical of a Moscato. Though not a sparkling wine, it was a little bit bubbly in the glass. A clean crisp aroma of light pear was immediately noticed and was pleasant. On the palate, the Barefoot Moscato was sweet and crisp. The sweetness did not overpower the enjoyable tastes of lemon and orange citrus, as promised from the bottle. The mouthfeel had a texture of satiny smoothness with a finish that landed mostly in the cheeks and somewhat less on the tongue. The finish was short and delicate. Overall, this Moscato performed perfectly and would easily pair with the foods mentioned above. 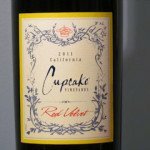 On their website they also mention that this wine would be a good compliment to coconut cream pie. Nowadays, many restaurants serve a cheese plate as a dessert. Barefoot Moscato came to mind as the perfect compliment to that. One of the things that Barefoot Wine and Bubbly mentions on the bottle is that they “support the efforts of organizations that help keep America’s beaches barefoot friendly”. 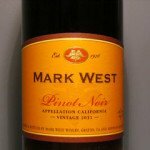 With a price of roughly $7.00 a bottle this wine is not only a good value, but also a good corporate citizen. They appear to embody the spirit of their name. Recommend! OMD, Moscato is one of my favorite grapes. So I’m sure I will like this wine and the prices is also great. I do like dessert wines, but as I’ve got older I seem to find some of them very sickly sweet. If I ever this I will in not doubt buy it. Thanks. we enjoy Barefoot Moscato and Riesling a lot. We would recommend both. 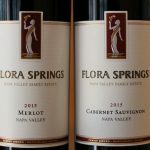 The question we have is, “are there any sulfates in these wines? Here’s what I received from Barefoot when I asked about sulfites. Thank you for contacting us regarding Barefoot®. We appreciate the opportunity to respond to your inquiry. A small segment of the population has an allergic reaction to sulfur dioxide in all products, including wine. If your doctor advises against consuming products containing sulfur dioxide you should carefully follow his or her instruction. We hope this information is helpful. Please read below information on “Sulfites and Wine” that we think will be of interest to you. Wines are made from the naturally fermented juice of sound, ripe grapes, or other fruits. Sulfur Dioxide is found naturally in all wines. 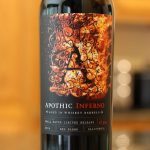 It is a natural by-product of the fermentation process and, therefore, when wine is made anywhere in the world, some sulfur dioxide will always be found in it. This naturally occurring sulfur dioxide is supplemented with minimal added sulfur dioxide to correct natural deficiencies in the wine to protect against browning and bacterial spoilage. The amount of sulfites can vary from harvest to harvest and therefore, from one purchase to another so it is not feasible for us to provide more detailed information. Sulfur dioxide is also found in various fruit concentrates, syrups, juices, shrimp and other fish, pizza dough, cake toppings, dried fruits, frozen and dehydrated potatoes, cheeses, and many packaged fruits. The winemaking practices used by California wineries are strictly controlled by the State through the Department of Public Health, and at the Federal level by the Trade and Tobacco Bureau and the Food and Drug Administration. 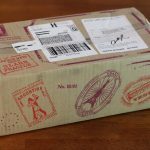 The Federal Government has ordered that as of January 9, 1988 all wines removed from bond for tax payment and all wines imported into the United States for sale must carry a statement “Contains sulfite,” or similar wording. 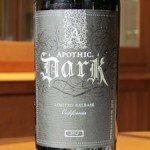 Any wine bottled prior to July 9, 1987 and shipped before January 9, 1988 which is still on the shelves is not required to carry a sulfite statement. We appreciate you taking time to contact us. We hope you will continue to enjoy our fine products for many years to come. 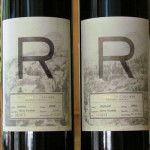 I like all Reuinte wines and drink them all. I do not drink dry wines because taste buds declare these wines to be nothing but pure alcohol in taste and to “develop a taste for them” is a sham fooling nobody but yourself. About a year ago a friend served a Moscato for dinner.. It was rather tasty and I buy it all the time now. Then there’s Barefoot moscato. It tastes like the fermentation is still going on: and they have fermented it too long. The sweetness of a Moscato has been compromised in favor of a bitter more alcoholic taste. I WON”T BUY IT AGAIN. As a taste comparison compare any of the Reuniti semi-dry wines or GALLO’s Moscato to Barefoots’ Moscato.. Barefoot’s Moscato is on the bottom of my shopping right before cheap and nasty dry wines. Know why people buy dry wines? The names invoke an implied (non existent) quality:. Rose, Chardonnay, Chianti, Chablis, When you write a reply don’t lose sight of the main subject here, TASTE. (Not a “a learn to like it” taste) If you have to DEVELOP A TASTE for something, anything,,it’s “no good”. Please tell me how much sugar is in a glass of Barefoot California Moscato wine. Thanks for visitng Honest Wine Reviews. I don’t know how much sugar is in a glass of that wine. But, I bet Barefoot Wines might!